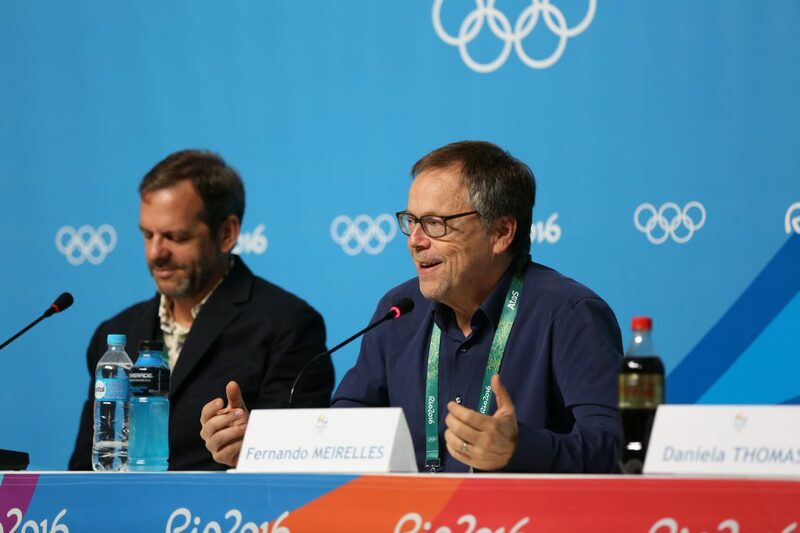 Fernando MEIRELLES (BRA) is one of three creative directors of the Rio 2016 Olympic Games Opening Ceremony. Famed for four-time Oscar-nominatedCity of God, his account of life in Rio de Janeiro’s favelas, MEIRELLES follows in the footsteps of fellow film director, Danny BOYLE (GBR), who was behind the London 2012 Olympic Games Opening Ceremony. From dealing with drastic budget cuts to confronting the challenges of live action, and the all-encompassing importance of TV angles, MEIRELLES reveals how he has created a show to treat Brazilians “for depression”. What impact do you hope the Opening Ceremony is going to have? I hope that the Opening Ceremony will be a drug for depression in Brazil. Brazilians can look at it and say we are a cool people, we are different ethnic groups, we live together, we never went to war, we are peaceful, we know how to enjoy life and we tend to be happy. I am prepared for the haters – people say the internet (reaction) is horrible. How will your Ceremony differ from previous ones? Countries are always talking about themselves, their contribution to the world and how they are the centre of the universe. Like Athens: western culture came from here, and Beijing: we invented paper and the compass, and London: the industrial revolution and the internet revolution. It’s all ‘hey world, this is me, me, me’. We decided to do it the other way round. We are talking about ‘us’, how we should behave from now on, not just Brazil, mankind. All the other countries were talking about their past, we are talking about the future. I love Brazil. I have my roots here, but I feel myself a member of the world, I am patriotic for the planet more than for Brazil. Given the economic situation in Brazil in the last two years, how tough has your work been? This has been a very difficult process. When we started we were rich, we had an international crew, we watched some shows in Vegas, we were very ambitious with the technology we wanted to use. We were looking at a budget of 113.9 million US dollars (for the four ceremonies – Opening and Closing Ceremonies for the Olympic and Paralympic Games). But little by little it has been cut and now our budget is 55.9m US dollars for four ceremonies. Most of this money is for security, and all the stuff around the show. I think it is 12 times less than London, 20 times less than Beijing. This makes it very challenging. What did this mean in practical terms? You lose ideas, you lose toys, where you had 3000 people you now have 700. At first I was very upset, you start thinking something very big and then you have to cut, cut, cut. On the other hand, it is good in some way because we are in a moment in the world where we need to be reasonable with the way we spend money. The environment can’t handle it any more, we are warming the planet. It is pretty tacky to be overspending. It is not a good message for the world. When 40% of the homes in Brazil have no sanitation, you can’t really be spending a billion reais for a show. In the end I feel good that I am not spending money that Brazil hasn’t got. You can do something with heart, with concept, without spending. The ceremony has a very strong and clear message. It is very contemporary, very pop. And of course it is Brazil, the music is good. Whatever we are showing may not be huge but it looks good, it’s in good taste. We have heart – I think that is enough. The Maracana is an iconic stadium, but it was built for football not spectacular shows, what challenges does that present? The Maracana has one big problem which is there is no entrance. There is one door which is not big and four normal doors. So if you want to take something big in you can’t, we can’t have any machinery, so we are doing it all on the ground. And then you have something happening inside, you finish and you need to remove 3000 dancers and bring 12,000 athletes in the same door. It is impossible. The whole creative process has been dealing with how we go about taking people in and out and occupying the space. Why do you think film directors such as yourself and Danny BOYLE (GBR – director of the London 2012 Olympic Games Opening Ceremony) are being chosen to direct these ceremonies? We are used to trying to understand the story. Whenever I start to film that is the first question for me; what do I want to say? So I have this clarity of what I want to say and how I want to say it – it is something film directors tend to understand. Of course it is a huge scale, but the elements in this show are exactly the same as I use – actors, movement, light, sound, sound effects, emotions that have to go up and then down to go up again. Has it been hard adapting to directing a live show? It was very hard because I have no experience on this scale. It is really a new world for me. As I had never done anything live, last September I was invited to direct an opera in Belem. I spent a month and a half there playing with light and people and the audience. It was very helpful. How important is the broadcast aspect of the Ceremony? Bad broadcasting would destroy a good show. Me and Andrucha WADDINGTON (BRA, fellow creative director of the Opening Ceremony) have worked on the broadcasting to know second by second where the camera will be. If we have 3000 extras we know the camera will be here – so we will put the two best faces or the two best dancers here, for the camera. In London, the broadcasting was phenomenal, frame by frame you would catch a famous actor or something. It was perfect. We are really focused on TV. How do you think you will feel when it’s all over? I am sure I will be very happy but I am looking forward to getting back to my life. If I knew what was going to happen, would I accept to do it (in the first place)? I am not sure. What counts as #OlympicArt during the Rio 2016 Olympic Games?